Jiu Jitsu Classes Lebanon: Welcome to Infinity Martial Fitness of the Upper Valley! Have you done martial arts training before? Whether you have or not, it is never too late to get started. 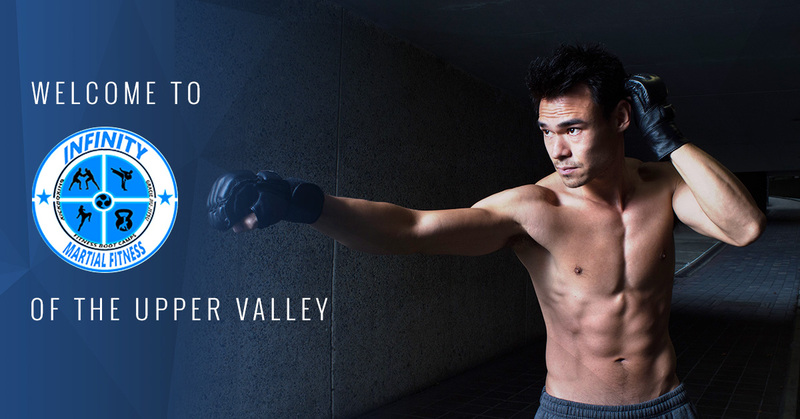 At Infinity of the Upper Valley, we work hard every day to ensure that Lebanon has the best jiu-jitsu academy around. Why? Because people of all ages can access a higher quality of life when they train jiu-jitsu. If you aren’t sure that jiu-jitsu is worth the time investment, we have some reasons to convince you otherwise! People walk through our doors for many different reasons. However, the benefits they get from our training sometimes surprise them by fulfilling needs they didn’t think they had. Read on to learn more about the possibilities waiting for you on the mat! It makes you mentally tougher. Plenty of things in life affect your mental game, but few actually make it stronger like jiu-jitsu does. Jiu-jitsu teaches you that it is possible to push back when you’re up against the wall. It shows you that you can push through pain and discomfort. It also empowers you to take on opponents who are more skilled than you are -or just bigger. It cultivates grit and persistence. The mat is a safe, controlled environment where you can test your limits and push your levels of persistence and grit higher. You don’t have to wait until life throws you a curveball and hope it never does. Instead, let jiu-jitsu show you the rewards of showing up again and again and again. It is very common for people to be frustrated by their first few months of jiu-jitsu, but the ones who keep showing up end up overcoming that frustration and realizing they can do more than they thought they could. When life decides to get rough, they have the mental toughness to fall back on. It helps you understand humility. We all hear that being humble is a good thing. But what does it mean? It’s impossible to truly understand until you live it. Jiu-jitsu and judo are both designed to level the playing field by giving the little guy the advantage. It also allows more inexperienced fighters to take down more skilled ones. As a result, it allows people to get free of their egos and simply learn to be better at the sport for its own sake. The jiu-jitsu journey is only successful when you gain the ability to learn from being submitted by those who have studied longer than you have. It makes you physically tougher. Jiu-jitsu is a painful sport, and so is muay thai kickboxing. But that’s just the thing: bodies adjust. We don’t give our bodies as much credit as they deserve. Practicing jiu-jitsu makes your body tougher and gains the ability to absorb the pain. Infinity Martial Arts is proud to provide the people of Lebanon with a place where they can learn more about themselves as they learn to defend themselves and respect the world around them. Contact us today to learn more!